12 Essential Journalist Interview Questions - Can You Answer Them? News. We want them now, we want them short. We want to be amazed, touched, shocked, or at least irritated. And we never have enough of them. Job of a journalist has changed a lot in the last decade. Research and retelling has replaced traditional investigation and creative writing. At least partially. Before you had to have a degree from journalism or mass communication to have any chance to get into the news business. And you had do have two internships under your belt, great references, and at least some experience with editing the school newspaper. Now you only have to prove your ability to find news, and to tell them in your own way, a voice that is compelling for the target audience. Voila–welcome to the news business. Now do not get me wrong–I do not say that true journalism is dead, or that you should not apply for this profession. I just want to say that the game has changed, so have the salaries for reporters, and the typical interview process for this position. The difference between real reporters, and story re-tellers is huge, not only in the salary they earn (from $20,000 to $80,000 annually), but also in the hiring process. Let’s analyze both cases, and learn how you can get a job of a journalist, and a job of “story re-teller”. Ability to write a news story from a scratch (based on a tweet, or other short form of communication). Ability to find the correct places on the internet, and work with the most famous international news channels, while trying to catch the latest news. Ability to tell a story in your own voice, compelling for the local audience. Strong language skills–not only in your native language, but also in some other languages, so you can rewrite (curate) the stories from other languages, and publish them as your own. Ability to work with the online publishing platform, or a CMS that they use on the website, or ability to learn to work with it. You won’t get many difficult questions while applying for this kind of “journalist” job. But they may often ask you to prove your abilities directly, with a practical exercise. They will show you a short news story, or a Facebook account of a celebrity, or anything else, and ask you to write a story in your own voice. This is a great way to see how fast you can write, whether you have a good writing style, and basically whether you can do what is expected from you in this job. Do you mind working in the evening/in the night? How do you tell an interesting story from a boring one? How would you describe a typical visitor of our website? What are they looking for when they reach our homepage? How do you handle pressure in work? How do you ensure to meet tight deadlines? Bottom line: You may get this job with little to none experience. You do not even need a degree in journalism. But keep in mind that it is not an easy job, and you won’t earn much doing it. Everything changes when you apply for a real reporter job. Now I speak about a job where you actually travel to places, interview people, investigate the events, and dig deep to find something, before you progress to write a story. We do not talk about story-(re)telling anymore. We talk about writing, and creating the news. The first thing they will look at is what you have already done. Have you got published? Have you written something before? Have you edited the school magazine? Can any person from the industry say something good about you? You can showcase all these things on your work portfolio. Show the interviewers that you did not wait for the school to finish, but already tried your best to dive into the news business. In the online world as we know it today, it takes barely an hour to start a website. Create something unique, something interesting to read. It can be a collection of poems, it can be an essay on one of the trending topics. Show them that you know how to write and express yourself. You can even do a series of interviews with people from your city (artists, athletes, minorities) and publish the interviews online. Remember that you do not necessarily have to work for a real local newspaper to get a chance with one of the big players. But you always have to have something to demonstrate your reporting skills. * Check also: Body language in an interview. The chief editors (or anyone else who will lead an interview with you) may test your skills with a simple test. They will give you a news story (typically a real one, from their own magazine) and they will ask you to improve it. Or they will ask you to find mistakes (which they made on purpose). 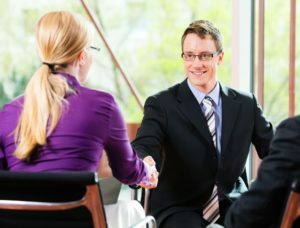 They can also ask you to cover a certain topic (the task can be assigned before you actually interview in their offices), and once meeting them you will present your coverage. Needless to say, try your very best in the practical test. Approach it responsibly, and try to keep your story in line with the way the newspaper (radio, TV) covers similar stories. Show them that you understand their audience, and are ready to produce content they will devour. Let me repeat myself: your portfolio, and the references from people from the business, play a pivotal role in the hiring process. Questions are secondary, but still important, and you can definitely jeopardize your application with bad answers. Let’s have a look at some common questions. In brackets you will find a hint on how to answer each question. Where do you see yourself in five years time? (Tell them that you love the job, and do not consider changing your career. Try to convince them that you are in for a long run, that you want to learn and grow as a reporter, in many years to come. Why should we hire you, and not one of the many other candidates who try to get this job? Career of a journalist offers a lot of variety. Jobs range from very simple, routine, and sedentary, to very complex and even exciting. Journalists in the US earn anywhere from $20,000 to $100,000. What is more, you can bring five people in the room with the same job title (Journalist), and if you ask them to describe their typical day in work, you will get five completely different answers. This variety is reflected also in the hiring process. Nevertheless, some principles of success can be applied in each and every journalist interview. Show them what you can do, with real examples of your work. Rely on references from your past employers, editors, teachers, colleagues from the trade. Learn as much as you can about the periodic, their work, strategy, vision and business model, and have these information on your mind while answering the interview questions. Show motivation, enthusiasm, and understanding for what they try to achieve with their work. Interview Success Package – Multiple brilliant answers to thirty most common interview questions, and a guide on how to win the hearts of your interviewers. Get ready for the big day in less than three hours.